Mediation is an alternative method to trial to resolve a legal dispute wherein a neutral third party, the mediator, assists the litigating parties in reaching an agreement. Mediation is non-binding, which means the parties are not required to comply with the mediator’s decision or recommendations. Should mediation fail, the parties may proceed to trial. 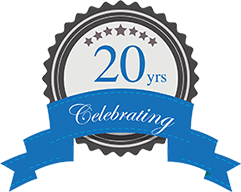 Ronald V. Thomas and his team of Phoenix divorce lawyers possess the expertise and skill to zealously represent clients in mediation and trial. 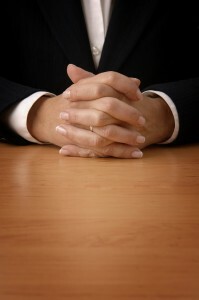 If both Petitioner and Respondent in a dissolution (divorce) agree to submit their dispute to a mediator, the parties select a mediator and schedule a mediation at which the parties and their lawyers appear. The court may also order parties to mediation if the court believes a mediator may assist the parties in reaching an agreement. At the mediation, the mediator will listen to both parties and work with them and their counsel to facilitate reaching an agreement on contested issues, such as dividing assets and debts, child custody/support, and/or spousal maintenance. The mediator is generally a lawyer or a retired judge. He or she is neutral, which means the mediator does not represent the interests of Petitioner or Respondent. For that reason, it is important you have legal representation during mediation. Our firm’s Phoenix divorce attorneys are able to provide that critical representation. If the mediation is successful, the mediator and counsel will prepare and submit to the court the necessary documents to finalize the dissolution. If the mediation is unsuccessful, the parties may continue to trial. Ending a marriage can be profoundly emotional, even if both spouses are willing to submit their dispute to mediation. Consult one of the Thomas Law Firm’s Phoenix divorce lawyers to discuss the mediation process and how legal representation is crucial to a successful mediation. Mr. Thomas will provide you with the representation and support you need to achieve a successful result in mediating your dissolution.